One of my happiest moments was finding out I was pregnant. I have always looked forward to being a mother. But as a first time mom it can very overwhelming. Our bodies have never been through this before, we often feel ill for the first trimester, worried about what we should eat, whether we should take supplements, how to ease our aches and pains. If this is you then look no further. Below are my top 5 must do’s in Hong Kong when you’re pregnant. As our bodies grow and expand, we need to keep ourselves flexible. Exercise helps us look good, feel good, prepares our body for birth and also helps gain our pre-pregnancy bodies back, post partum. In Hong Kong, Pure (Soho) do great pre natal fitness classes. Zosha’s class on a Monday is more pilates based and Dora’s class on a Wednesday is more resistance and strength training based. They both also have great advice for expecting moms. Pure Yoga do some pre-natal yoga classes, as does Hersha Yoga and Nealy Fischer (through Annerley). 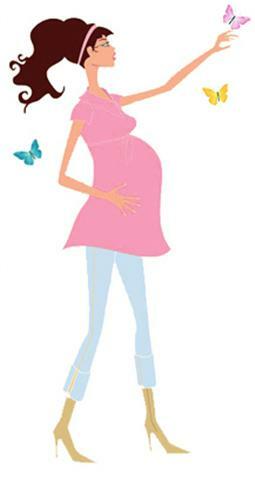 Yoga helps keep you soft and supple in preparation for the birth. Swimming is also another great form of exercise as it puts no pressure on your joints. In your third trimester when you have an ever expanding bump, the weightlessness of water can have a very calming effect. Hong Kong boasts some great public pools at Kennedy Town, Causeway Bay and the YWCA on MacDonnell Road. But if you feel like splurging, you can also visit the pools at the Island Shangri La or the JW Marriott in Admiralty. One of the best things about living in Hong Kong is the sheer number of places to get a massage. While I was pregnant my favourite haunt was The Mira Spa. They do a “pea in a pod” massage which is simply divine. But I didn’t just go there for their massages. In the heart of bustling Nathan Road, The Mira Spa is an Oasis of calm. They have a relaxation area with 4 water beds and soft classical music. 90mins spent there is enough time to rejuvenate any pregnant mama. Friends assure me that a massage with Jenny Woosley (at the Sutherland Chan Centre) is another must have. There’s a Facebook page called HK Moms. Want advice on which OBGYN is the best, where you should take your child swimming, who does the best cakes in Hong Kong or even ideas for your child’s 2nd birthday. Look no further. HK Moms is by moms, for moms. No question is too trivial. For some great advice and any question answered, join the HK mom’s network. Sign up to Sassy Mama in Hong Kong. They have the scoop for all things mom and baby related in Hong Kong. You can also find information on Annerley’s Blooming Bellies event which is held at the Mandarin Oriental a couple of times a year. It’s a great way to meet expectant moms, learn about new products and be in the chance of winning some fabulous prizes (I won an acupuncture session at IMI).